The property industry has shifted focus from regional Queensland back to the built-up South East, according to the UDIA's new Industry Insights Report. Prepared by The National Property Research Company (NPR Co), the report says that owner occupiers are expected to return to the market in force as their choices begin to increase and the outlook for interest rates remains positive. South East Queensland hotspots include Brisbane, Gold Coast, Ipswich, Logan and Moreton Bay, all showing price growth in land and house sales volume. Medium to high density median prices – houses and apartments – remained fairly static, with growing sales volume, this is a reflection of the strong supply into the market in this category. The UDIA (Qld) Industry Insights Report also reveals that in Brisbane, almost all respondents reported a rising market across all forms of housing over the last six months, with the majority view that we were yet to see the top of the cycle for apartments. Interest rates and population growth were cited as the most positive market influences. The outlook for the Sunshine Coast was also positive. While median price rises were slight across the board, the hospital nearing completion, investigation into improved transport infrastructure, economic diversification and improving domestic tourism figures buoyed the market. In Ipswich, the market is steadily rising, although there was concern about the negative impacts of low employment growth and infrastructure investment that may limit growth. Two thirds of respondents reported healthy levels of demand from international buyers. Logan, Gladstone and Toowoomba led the state for land, with modest growth in land volume sales. While Gladstone is coming off a low base, the outlook is more positive into 2016. Logan has reaped the benefits of two major masterplanned communities and may well prove to be Brisbane’s newest and most dynamic corridor. Population growth in the Fraser Coast, Mackay and Gladstone has challenged recovery in these areas. 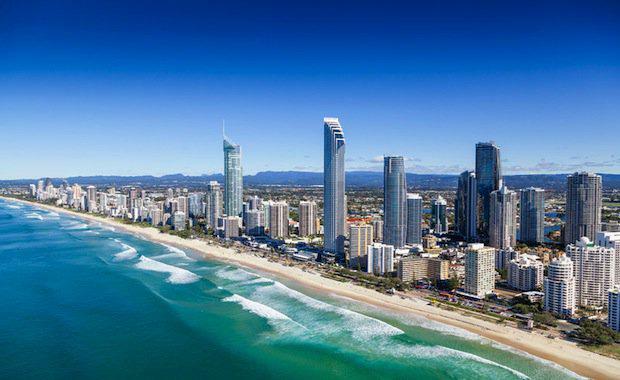 The outlook for the Gold Coast is very positive with a large majority of respondents confident about a continued rising market, particular for houses, and very healthy overseas demand from both investors and owner occupiers. “We are seeing the return of owner occupiers to the market, and they are looking for diversity and fresh choices in housing types and locations," Mr Gillian said. "Our challenge is to respond to this demand, and meet their lifestyle aspirations at an affordable price,” he said. “We are seeing positive signs across the state, and increasing the supply of developable land will facilitate and encourage greater economic growth. "UDIA (Qld) is actively working with the State Government to ensure that developable land is released to the market in a timely manner, so we can respond to the needs of home buyers and the community,” Mr Gillan said.